Welcome to the latest installment of the Mayor's Weekly Briefing, which contains a recap of Township news, special events and community activities. I hope you'll join us at these events, sign up to receive e-mail updates, and follow us on Facebook and Twitter. On Monday, I was proud to announce that the Township had reached a tentative agreement with Advanced Recovery Systems to purchase the Masonic Lodge property on Haddonfield-Berlin Road to preserve as open space. Council voted in support of that agreement, and on Thursday, the Camden County Freeholders unanimously voted to approve the Township's request for $1.7 million in funds to purchase the property. This week's announcement was the result of months of working together with both Advanced Recovery, the Masons, and - most importantly - neighbors in the Brookfield neighborhood and Cherry Hill American Little League -- and fulfills a commitment by myself and the members of Council to protect the neighborhood by preserving the Masonic site. In that time, we heard a great deal of concern from residents worried about the impact of any new development, which would have directly abutted a number of single-family homes, as well as the little league, and exacerbated traffic in a congested area. The community remained engaged and in contact with us throughout the process, and their cooperation is an incredible example of the progress that can be made when citizens and government work with each other to achieve a positive result. I believe this agreement was the best possible outcome for our entire community, and I appreciate the support we've received from the residents, as well as Camden County, throughout the process. Click here for details of the agreement and our full announcement. If you have any questions or concerns, please don't hesitate to call my office at (856) 488-7878, or e-mail me directly at MayorCahn@chtownship.com. The South Jersey Knights were honored Monday for winning the 2016 Junior High Group II Championship in the South Jersey Independent Youth Football Association. At Monday's Township Council meeting, the members of Council and I had the privilege of honoring two wonderful groups of young people in our community. First, we presented a proclamation to the Cherry Hill Knights football team, which won the South Jersey Independent Youth Football Association's Junior High Group II Championship for 2016. The Knights finished the season undefeated, which in itself is quite an achievement, but their victory was amplified by the fact that the boys played for a coaching staff in just its second season - and by the fact that three players had never set foot on a football field prior to this year. These young men truly learned the value of teamwork, and every player contributed in some way, both on and off the field. Their dedication was remarkable, and truly makes us proud. Congratulations to the Cherry Hill Knights on a fantastic 2016 season - and best of luck next year! Mayor Cahn and Council honored a group of fifth-grade girls from Russell Knight Elementary School on Monday, Dec. 12. Monday's meeting also paid tribute to a group of fifth-grade girls from A. Russell Knight Elementary School, who took the initiative on their own to organize a school-wide food drive to benefit the Cherry Hill Food Pantry, a nonprofit organization that feeds hundreds of local families each month. The undertaking was almost entirely the girls' responsibility; with the help of a few teachers, they created fliers, made a sign indicating their progress, counted donations, and made daily reminder announcements. In just two weeks, the girls' efforts yielded 484 items to be donated to the food pantry - support that is invaluable all year long, but particularly during the high-demand holiday season. It was an honor to recognize these girls for their kindness, generosity and positive community spirit - all of which helps to make Cherry Hill a better place to live, work and play. Please join me in commending Talia Dugan, Fiona Yampell, Abby Callahan, Kelly Topham, Bella Stearne, Elena Coverdale, Isabel Coverdale, Emma Chorzelewski, Jenna McGovern, and Maddie Winslow on their wonderful work! Increase following distance from three to four seconds, to eight to ten seconds. Don't stop if you can avoid it. Don't stop going up a hill. In any inclement weather, follow Cherry Hill Township and the Cherry Hill Police Department on Facebook and Twitter to stay up-to-date on the latest news and information. Registration is now open for all programs and classes offered by the Township Recreation Department this winter. Whether you're a parent looking for activities for your children, a young adult looking to pick up a new hobby or skill, or a recent retiree looking to socialize and stay active, there's a program or class for you. Stopmotion Pro: Ever wonder how movies like Kubo and Two Strings were made? Learn how in Stopmotion Pro! Students will build a full articulated puppet, make all the props, and bring their imagined world to life with a professional stop motion set. Join us and learn the cinematography and animation techniques to make a complete animated short. System 4 - Mad Machines & Mother Nature: Children will uncover the vital role that science plays in detective work, examine the science behind popular toys and get the buzz out of the amazing world of insects! Your junior Mad Scientist will explore Earth Science, weather phenomena and radical robots! Children will build their own Mad Science Machines, and create their own short, animated cartoon! Uncovering Your Family History: Challenge your brain while having fun learning how to research your family history. This adult genealogy class is designed for those who want to learn the skills necessary to conduct genealogical research. Learn how to assemble your family history, where to find the information you really want, and what resources will be the most valuable. Stand-up Paddleboard Yoga: Beginners and experienced students alike will love our new Stand Up Paddleboard Yoga Class. Enjoy the workout and relaxation of traditional yoga while you strengthen your core muscles and improve your balance on our paddleboard mats. Bring the fun and fitness of SUP Yoga indoors in our heated indoor aquatic center! All exercise materials provided. Students should wear bathing suits or athletic attire. Please bring water bottle and towel. For specific details (dates, times & locations) and information on all Winter recreational programs, please click here, or call the Recreation Department at (856) 488-7868. If you have an idea for a recreational program and would like to teach a class, please complete a program proposal by clicking here. Be sure to follow Cherry Hill Recreation on Facebook for event details and highlights. For more information, contact the Recreation Department at (856) 488-7868, or e-mail Recreation@chtownship.com. Councilwoman Jacobs walked in honor of victims of gun violence with community members and congregants from the Unitarian Church on Saturday, Dec. 10. Councilwoman Carolyn Jacobs joined the Unitarian Universalist Church on Kings Highway last Saturday evening, for a peaceful March for Nonviolence that paid tribute to victims of gun violence and all those affected across our country, with particular focus on the shootings in Orlando and Sandy Hook, coinciding closely with the fourth anniversary of the latter. After the walk, attendees stayed for a solemn church service that honored the victims' memories, and called for action to address the epidemic of gun violence that has so deeply affected so many men, women and children throughout our country. Curbside leaf collection is now complete for the 2016 season. Thank you to our residents for complying with municipal guidelines to ensure an expeditious collection cycle, and allow our personnel to finish their rounds ahead of the season's first snowfall. If you still have leaves that need to be collected, they can be placed into an open trash can and placed at the curb on your normal trash, recycling and yard-waste collection day. Additionally, the Township will continue to offer free 30-gallon leaf bags to all our residents, for use throughout the year. Leaf bags can be picked up in the Municipal Clerk’s Office (Room 107) at Town Hall, or at the Department of Public Works, 1 Perina Blvd. Bagged leaves can also be placed at the curb on your scheduled trash collection day, giving you more flexibility as to when leaves can be cleaned up. For more information, call the Department of Public Works at (856) 424-4422. The New Jersey Department of Transportation (NJDOT) will continue work next week on Route 70, from mile marker 0 to 2.55 and 5.33 to 7.67 in Cherry Hill and Pennsauken. The next phase of work is expected to begin on Monday, Dec. 19, and will include new curbing and sidewalks, inlet and manhole replacements, electrical upgrades along with paving and striping. Traffic signal upgrades being performed could necessitate a shoulder or lane closure during the day. Work hours will vary, and will include work from 6 to 10 a.m. and 3 to 9 p.m., with no lane closures in place, as well as isolated overnight work from 9 p.m. to 8 a.m., with some lane closures expected. The road will remain open at all times. Motorists are encouraged to check NJDOT's traffic information website, www.511nj.org, for real-time travel information, and follow @NJDOT_info on Twitter for NJDOT news. Cherry Hill Police will be cracking down on impaired driving through the New Year. 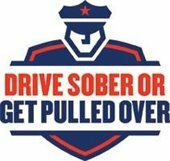 The Cherry Hill Police Department is once again participating in the national “Drive Sober Or Get Pulled Over" campaign, with targeted enforcement of impaired driving from Dec. 9 through Jan. 1. The campaign aims to cut down on incidents of drinking and driving during this holiday season. According to State Police statistics, 111 of last year’s 562 traffic crash fatalities were found to be alcohol-related. Even one fatality is too many. The message is simple: If you drink, don’t drive. If you drive, don’t drink. The results are costly, from losing your driver's license, to being involved in crash that was easily preventable. For more information on DWI prevention and awareness, visit the NHTSA site at www.nhtsa.gov, Mothers Against Drunk Driving at www.madd.org/local-offices/nj, or the NJ Department of Law and Public Safety’s informational page at www.nj.gov/oag/hts/alcohol.html. The Cherry Hill Police Traffic Safety Unit may also be reached for information regarding this and other traffic safety campaigns at (856) 488-7820. Santa and the Cherry Hill Fire Department will be touring local neighborhoods in the coming weeks. It's that time of year again! The Cherry Hill Fire Department is joining together with Santa Claus in the coming weeks for its annual tour of Cherry Hill neighborhoods. Santa will be visiting Cherry Hill from Sunday, Dec. 11, through Sunday, Dec. 18. Click here for an interactive map that shows when Santa will visit your neighborhood. All dates and times are subject to change due to emergency responses, weather, and other factors. We're looking forward to another great holiday season! 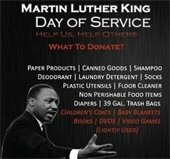 The Township's annual Martin Luther King Day of Service collection drive is now underway. The season of giving doesn't end with the holidays! There are residents in need within our community all year long. As part of our Martin Luther King Day of Service observance, please consider supporting our annual donation drive, which will several worthwhile, local organizations: Woodford Cedar Run Wildlife Refuge, the Cherry Hill Food Pantry, Cathedral Kitchen and Little Hands, Little Feet. This year's requested items include paper products, canned goods, shampoo, deodorant, laundry detergent, socks, plastic utensils, floor cleaner, nonperishable food items, diapers, 39-gallon trash bags, children's coats, baby blankets, books, DVDs, and video games (lightly used). Donations can be dropped off at the Township Municipal Building or the Cherry Hill Public Library through Jan. 12, or the Croft Farm Arts Center through Jan. 16. For more information, call (856) 488-7868, or e-mail Events@chtownship.com. Cherry Hill offers a variety of opportunities for new retirees and senior citizens of all ages to socialize and stay engaged and involved. A wonderful place to start is by exploring the social clubs that meet each week at the Carman Tilelli Community Center, 820 Mercer St. These organizations offer games like bingo, card games, shuffleboard, bridge and pinochle; refreshments; day trips; guest speakers; special luncheons; and great conversation and friendship! To find out more about each of these groups, contact the organization president, or stop by a meeting. Need a ride? Call the Township's free senior bus service: (856) 661-4711 for information. Maturity Club: Meets Mondays, 10:30 a.m. to 3:30 p.m.
President Connie Cramer, 856-414-0778, CCramer19@gmail.com. President Janice Walker-White, 856-795-4515, jwalkerwhite1@gmail.com. Cherry Hill Retirees Club: Meets Tuesday and Friday, 2 to 4 p.m.
President Bill Druckman, 856-795-4091, druckmanw2003@yahoo.com. National Association of Retired Federal Employees (NARFE): Meets the 4th Wednesday of each month, 1 to 3 p.m. Contact Peg Kelleher, 856-874-0827. Golden Seniors Racquetball Club: Meets Tuesdays at 9 a.m. at the Cherry Hill Health & Racquet Club, Old Cuthbert Road. Contact Jim Cuzzupe, 856-662-2094. If you have any questions about any senior-related topic, program, or service, please contact Gaye Pino, senior services program coordinator, at gpino@chtownship.com or (856) 661-4800. Senior groups: We'd love to hear from you! Our Senior Services Program Coordinator is eager to engage with all of our residents aged 55 and older. In an effort to do so, she is in the process of reaching out to local groups of senior and active-adult residents, senior social clubs and other similar organizations across Cherry Hill. If you or someone you know is interested in learning more about our Senior Services and programs, interesting classes, activities and special events that specifically target residents over 55, or if you are a member of a senior-related organization, we would love to hear from you! Please contact Gaye Pino, senior services program coordinator, at (856) 661-4800, or e-mail gpino@chtownship.com. Stay up-to-date on the latest news and other important information in the Cherry Hill School District's e-news. Click here for the latest edition. You can sign up to receive e-mail updates by clicking "Notify Me" on our website. For up-to-the-minute updates on any subject, call my office at (856) 488-7878, visit our municipal website at www.CherryHill-NJ.com, like us on Facebook, or follow us on Twitter. If you know someone who would like to receive our e-mail updates, please refer them to the "Notify Me" section of our website. Copyright © 2013 Cherry Hill Township. All Rights Reserved.